CC Rider, the bus agency that serves Columbia County, is studying the feasibility of consolidating its services with a neighboring transit agency. 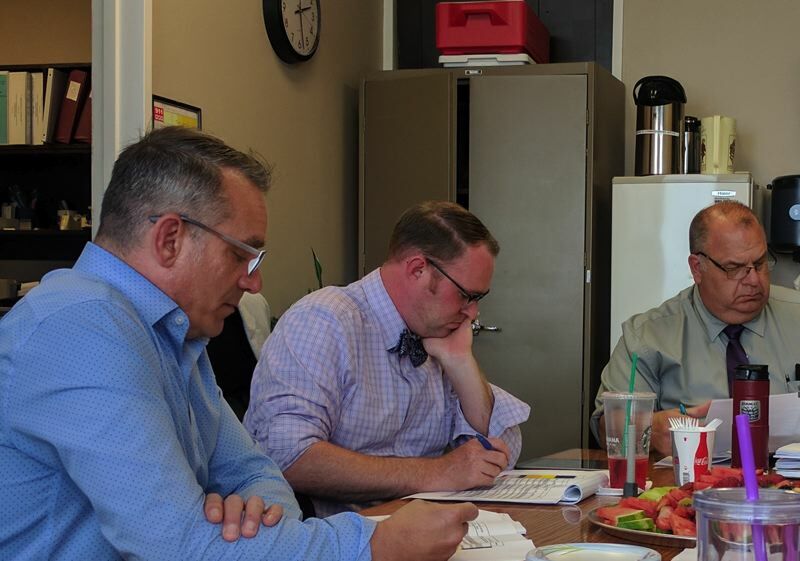 Michael Ray, the transit coordinator for CC Rider, confirmed a study just kicked off to examine a potential merger with Sunset Empire Transportation, a bus agency that currently serves Clatsop County. CC Rider currently coordinates with Sunset Empire Transportation to provide connecting service routes to coastal cities from north county. "There is a study that just commenced about the pros and cons of a merger with Sunset Empire," Ray noted. "The one meeting so far was only a kick-off meeting to go over the schedule and introduce the committee members to each other." Whether a transit merger will ever happen remains to be seen, but it could help stabilize bus services at a time when CC Rider is struggling to stay afloat. CC Rider relies heavily on grants to provide bus services and attempts at extra revenue generation through the establishment of transit district with its own permanent tax rate have been roundly rejected by county voters. A ballot measure to increase the county's natural resource depletion fee as a means of bringing in more funding for roads maintenance and CC Rider was shot down in 2015 and again in 2016. Voters also rejected a measure to make CC Rider an independent transit district, removing it from county authority. As the agency faces a potential budget deficit for the upcoming fiscal year, the Oregon Department of Transportation is intervening. "ODOT is coming up here to try to stem this hemorrhage," Ray told county commissioners during a staff meeting Wednesday. "I don't know what the outcome will be." ODOT is also paying for the study to evaluate the potential merger with Sunset Empire Transportation. Ray described several options for cuts to bus runs that would have the least impact on riders, while saving the transit agency some money. He was scheduled to meet with ODOT staff Thursday to evaluate CC Rider's current bus routes, schedule and funding limitations. Columbia County Commissioner Henry Heimuller said because CC Rider gets federal grant money, ODOT has an interest in making sure a basic level of service is maintained, especially for vulnerable populations. "They're here to help us make good decisions" Heimuller said. "Because our funds are so limited, and have been for a while." No new service cuts have been announced yet.